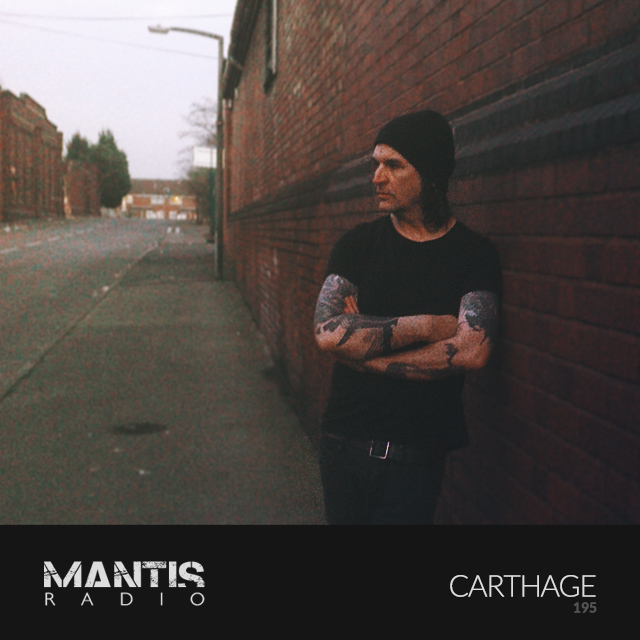 In session the intense industrial sonics of CARTHAGE. Hear music by Miss Red, Drumcorps, Samurai Music, Texture, Bad Company UK, Bone Skippers, Varg, Texture and more. Having been dumbstruck by recent album 9115, and witnessed him devastate playing bass as part of Khost, I just had to get Damian B’s CARTHAGE on the show. 9115 is his first release for Newcastle Upon Tyne’s fledgling label Still Heat Recordings and his second as CARTHAGE after 2003’s 2364PM. Beginning in 1997 in Handsworth, Birmingham, CARTHAGE has seen releases through Misanthropic Agenda, Lo Fibre, Pause_2, irritant Twin Valley Falls and A Tree In A Field with his focus having always been on live performance. 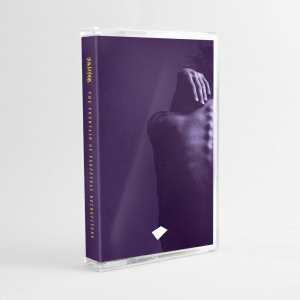 Damian is part of the most awesome doom duo Khost, who have two essential albums under their belt including this years’ Corrosive Shroud for Cold Spring. A musician at his core he’s a part of many groups including Cortex, Gauge, Deathless and STORM. The list of artists he’s toured and played with is excessive and includes – Zeni Geva, Conan, Godflesh, 16-17, Mark of Cain, Goose, Donna Summer, JK Flesh, Mothboy, Dumb & the Ugly, Rollins, Techno Animal, Labradford, Massappeal, Bedouin Ascent, Minotaur Shock, Hard Ons, Third Eye Foundation and together with others. Tonight’s session mix was recorded recently whilst writing new material for the next Khost album. I had to think of what to put on it and didn’t want to do an all CARTHAGE mix; all I want to listen to is music that sounds like it’s from old industrial lots, warehouses and terminals, or from Sunday afternoons in 1978. To be honest most of what I listen to (when it’s not D&B) is Genesis. Either way I just put this together and it’s just what I did one afternoon in December as the sun was going down. I want to shout out Jakie, you guys for this, Simon at Still Heat, Andy at Khost, Andy at irritant, Eugene from Oxbow, Hostage, Brian at Translation, John Cotter, Trond, Justin and Ben, and all the nice guys that I work with on the D&B front. Khost play Glasgow this Thursday, December 10th at Nice n Sleazy, Newcastle’s Northumberland Arms on Friday and hit London on January 15th at Camden’s The Black Heart with more shows to be announced.